Why buy advertising on our website? Our website is all about QuickBooks Online. Our contents are current and accurate. We have right audiences. Actual QBO users, Accountants, and Great QBO minds. We have ever growing domestic and international traffic. 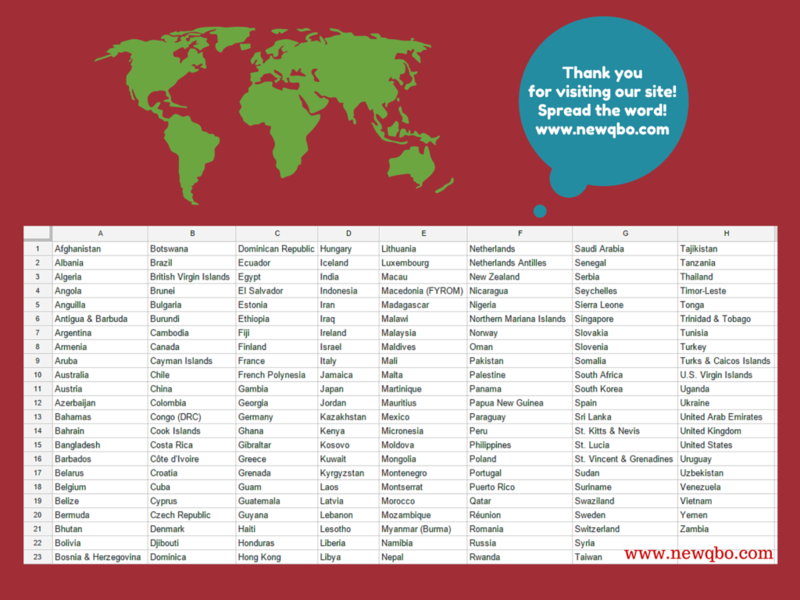 Our website NEWQBO.COM is visited by over 180 countries. See screenshot below. Our advertising prices are very reasonable. We will blog post on our site featuring your product. We will also share on at least one social media channel. All posts will be reviewed by our team before publishing it on our website. $250 per post for up to three months. Advertising with us is also very easy. Please fill out the contact form and we will email you the QuickBooks Invoice for payment.